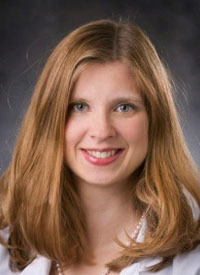 Recent developments in the treatment of patients with chronic lymphocytic leukemia (CLL) have created new, unanswered questions and left clinicians scrambling to keep up with the pace of change, said Danielle Brander, MD. However, she said that is a good problem to have. Brander, assistant professor at Duke University and the Duke Cancer Institute, took part in the 2nd Annual Live Medical Crossfire®: Hematologic Malignancies, discussing some of the most relevant clinical issues in the management of hematologic malignancies. In an interview with OncLive, she highlighted how recent advances are changing the field of CLL and what it means for patients and their oncologists. OncLive: Can you provide an overview on the current treatment landscape for CLL? Brander: There have been a lot of changes in the treatment options available for patients with CLL. For frontline treated patients, what has changed the most in the past 5 years is that we're trying to identify both the patients who may still be both eligible for and benefit from long-term chemoimmunotherapy. [These are] young, favorable-risk patients—IGHV mutated, no high-risk deletion 11q or deletion 17p. [These patients] can sometimes get very long-term, 10- or 12-year plus, remissions from frontline chemotherapy with fludarabine, cyclophosphamide, and rituximab (Rituxan; FCR). There are also patients with favorable-risk disease who might be older, who, for a host of other comorbid reasons, may get meaningful remission from a fixed duration of frontline chemotherapy, even bendamustine/rituximab (BR). However, I don't use BR for younger patients. In the frontline setting, the only targeted agent currently approved outside of clinical trials is ibrutinib (Imbruvica). More recently, there was a publication that looked at 5-year follow-up of a cohort of patients in the mostly frontline setting. What we learned is that patients who were not high risk, so did not have 17p deletions or TP53 mutations, and particularly some of the older patients who tolerated ibrutinib had extremely low progression-free survival (PFS) over the 5 years. Most of the other agents have been approved or studied in the relapsed/refractory setting. There's a little bit of a debate about a subset of patients who might benefit from chemotherapy or reasons you might use chemoimmunotherapy. If patients are relapsed/refractory, by and large, a lot of these patients are being transitioned to the novel therapies. Right now, the agents that are approved for CLL in the relapsed/refractory setting are ibrutinib for patients who didn't get it in the frontline setting, idelalisib (Zydelig) if they had more than 2 prior lines or are not eligible for other treatments, and venetoclax (Venclexta) is the most recent. Venetoclax was just approved [by the FDA] in the past month for all relapsed/refractory patients with CLL based on a clinical trial called MURANO, where patients were randomized to either BR or venetoclax/rituximab. There are about one-quarter of patients in both arms who had high-risk 17p deletion, but part of that is understanding […] why those patients didn't go directly to targeted agents. They were treated in countries or places that didn't yet have the novel agents available. At the end, there was a significant difference in PFS between BR and venetoclax/rituximab, and that was a fixed duration of venetoclax. Then, we have what I say are the "next-generation” targeted inhibitors. Even with all those agents that are approved, there are clinical trials, appropriately and excitingly, that are looking at next-generation BTK inhibitors. We have acalabrutinib (Calquence), which is going to be randomized in high-risk patients versus ibrutinib in a phase III trial looking at differences in toxicity. There are several other agents being looked at in the relapsed/refractory setting that are also BTK inhibitors. The same is true for PI3K inhibitors, either PI3K-delta or PI3K-gamma and -delta, that are being evaluated either in comparison with idelalisib or in general for relapsed/refractory patients. Then, as I mentioned, [there is] venetoclax across different lines of therapy. There are also a lot of combinations being looked at in the relapsed/refractory setting.